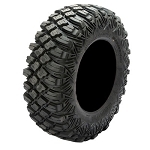 - In most cases our Interco Reptile ATV Tires ship out same day! 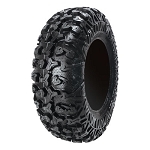 - Interco Atv tires are sold individually. - Designed with an advanced radial construction that allows for the best ride and superior traction in all conditions..
- Excellent high and low speed handling. My cousin bought a Honda 500 foreman with these tires on it 4 years ago and they are still on it. He has put about 10,000 miles on them and they still have lots of life left. We run our Hondas on a ranch and use our quads every day, (and we use them hard) and every bike now has these tires on them. Awesome Tire!!!!! We went to Tennessee this past weekend. These tires grabbed the mud, rocks and soft sand like nothing I ever saw. I would recommend these to everyone! I was never let down the slightest bit. I went through terrain others in my group wouldn't go through after seeing me go though. They will be getting some of these tires! Great All Around tire.Had Interco Vampires before,found little difference in the mud with a much better ride on hard pack. I have these in the 27" on my 700 Grizzly. Best tire I have owned! Major improvement over the mud lites I had before. Have a set of Mud Traxx on one atv, GBC Dirt Devil XT on another and Reptiles on another. The Reptile tires ride much smoother on hard pack and do just as good as the rest in the mud. They stick to rock very well and everything else you put in front of them. Very, Very good tires for any kind of riding situations. Great product. Fast shipping. Will buy again. Ride mud, swamp and road. Good compromise between pure mud tire and all terrain tire. Great service from Pure Offroad. I put about 50 miles on the tires so far and I am very happy with the performance. I plan on ordering another set of these for my sons ATV. I have the 30's on my teryx. I have only 3 rides on them, 100 or so miles, but love them so far. Smooth ride and good traction on all terrian. THESE TIRE MAKE THE RANGER WORK SO MUCH BETTER.THEY HANDLE THE ROAD GREAT.I WILL ORDER THESE FOR MY FRONT TIRES WHEN THEY GO BAD. I received these tires the next day and they seem like great tires. Very smooth ride and looking forward to testing them out in the mountains soon. These are really good tires so far, but I really wish they had the rim guard built in! I bought these tires about 4 weeks ago for my Honda Rancher. They ride very well on hard packed surfaces and did well on the trails too. The sales rep was very helpful in helping me find the right tire for the type of riding that I do and the tires arrive the next day. These tires are awesome!, put them on my xp 1000 and they handle great!!! May buy another set for my 800 down in mex! Very fast delivery 2 days. Mounted myself and went riding. Closest place Carolina Adventure World. Very pleased with this tire. Grips even in the sloppiest mud holes. Very little slipping is the sharp corners. The ride very smooth over the bumps. I had the Max 2.0 which is a very good ties but slides too much for my liking. The Reptile gives better overall control is all the different conditions that CAW had to offer. Looking forward to my WV trip in May. At first I was hesitant to about purchasing these tires but wow what an improvement over the stock tires. Much smoother ride. I haven't had time to go off road yet. I put some on my gator really like them. I will get some more when my foreman needs new tires. Pure offroad 's service was speedy. well done. Great tire at a great price,, very smotth ride and great traction. These tires are awesome on the street/trails and cant wait to see what they do in the mud. I had mudlites on my rhino prior to these and they were great in the mud but I opted for these radials as I wanted a quiet, perfectly round long lasting tire and the mudlites had none of these qualities.Thanks again Pure Offroad!!! Put these on my 2011 King Quad 400. wasn't sure if the 27" reptiles would fit, but they clear with no problems. The not only look great but they perform great too. They clean well in the mud, handle super on dirt and rocks. Look like they will do well in snow too. I'm very happy with this purchase and the guys at pure offroad for all their help. Q: What is the ply of radial reptile side by side tire 27-11-12??? Q: I am Replacing the stock tires on my 2008 Yamaha Grizzly. Fronts 25-8-12 Rear 25-10-12. What tire size can I go up to using the stock rims? A: The biggest you can run on your stock rims without a lift kit would be 27-9-12 front & 27-11-12 rear. Q: I have a can am Commander XTP that I recently added a SuperATV 6 in lift kit/Rhino Axels and a heavy duty Super ATV rack and Pinion steering to. It comes with the stock Maxxis BigHorn 2.0 27x9R 12 front and 27x11 R12 rear. 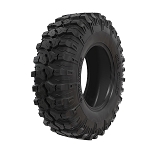 With my modifications would Interco Reptile Radial ATV tires in 30x10R-12 be a good choice using the stock beadlock rims and the stock clutch? A: Yes, the 30 inch Reptiles would be a great choice. They are a really good tire for all-terrain. They will fit your stock beadlocks. You may want to get a clutch kit if you lose too much power with the bigger tires. We recommend trying it first and see how your machine handles it. You can always add the clutch kit later if you feel like it needs it. Q: I want to go from a 26 to a27 . on the reptile tire s the 27 measured to the full outside of tire. incuding tread ? A: Yes, 27 inch includes the tread. It's the overall height. Q: looking to replace tires on 2003 bombardier outlander 400 currently with 25/8/12, 25/10/12 can I safely go to 26" tires without rubbing the tie rods in front? interested in Reptiles thx! 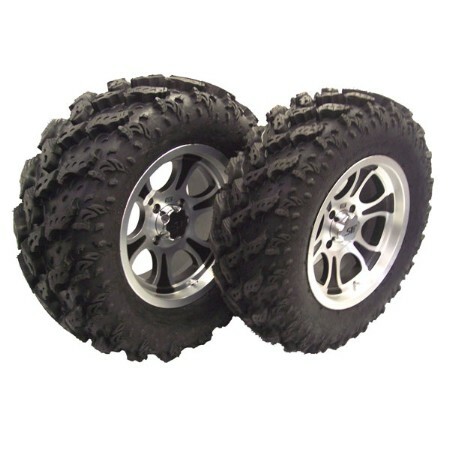 A: Yes you can run these tires in a 26/9 & 26/11 on your model. These run a little short anyway so you shouldn't have any problem clearing them. Q: Is it possible to mount a 26x11x12 on a 12x8 wheel in a package from pure? A: Yes we can do that. Which rims are you looking for? Let us know. Thanks! Q: Is this 6 ply tire strong enough for a kaw brute force 750 or should I get 8 ply tires? A: This 6 ply is plenty strong for your Brute Force. These tires are great. An 8 ply would also be great but this tire is more than enough. 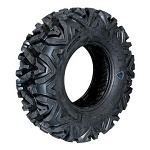 Q: Thinking of ordering 4 ATV tires "Interco Reptile Radial Atv Tires 26x10R-14" and having them shipped to Calgary Canada. How much will the shipping cost be? Do I need a customs broker? A: Please provide us with your full shipping address and I'll price out shipping for you.